Posted by Nicole Richards on Monday, July 27th, 2015 at 10:27am. 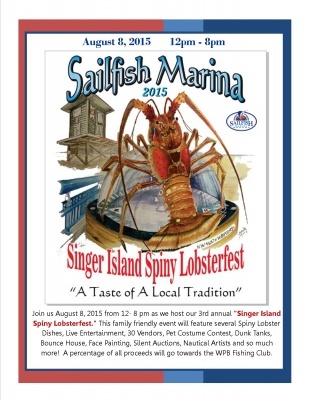 Sailfish Marina and Resort is hosting its third year celebrating an event: Singer Island Spiny LobsterFest, on August 8th, 2015. 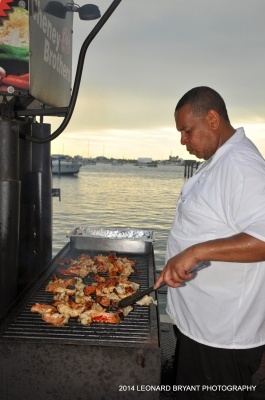 On Singer Island, Florida, The Spiny Lobsterfest is an annual pet and family friendly event filled with lots of enthusiastic locals ready to kick off regular lobster season. 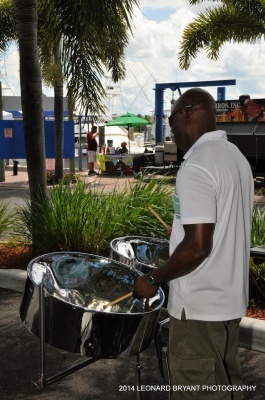 Sailfish Marina is setting up about 10 food stations with fresh lobster cooked in delicious ways, there will be 30-40 vendors participating along with live entertainment, water slides, bounce houses, dunk tanks, face paintings and a “best lobster” dog costume contest along with so much more fun and exciting activities. This exciting time of year will provide great exposure for the sponsors participating, your business will have its logo printed on banners, signs, t-shirts and social media. 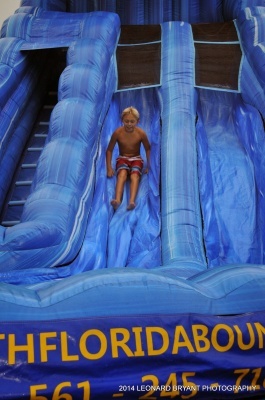 Be there on August 8th from 12:00 pm to 8:00 p.m.